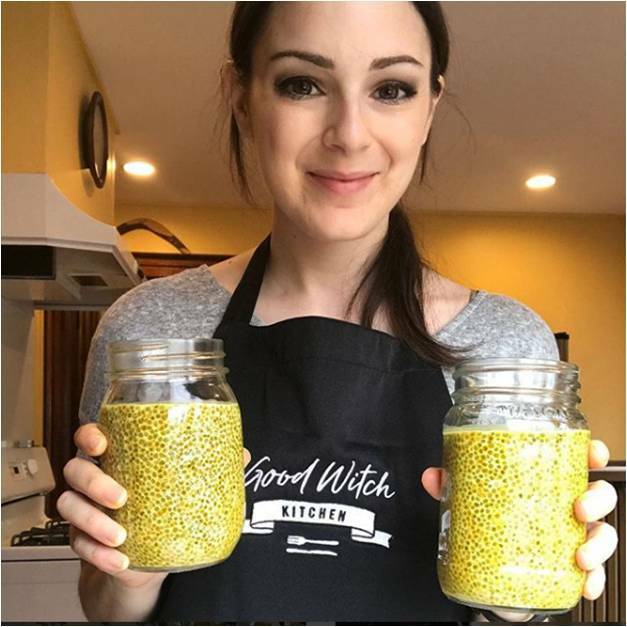 Kristen runs good witch kitchen where it’s her goal to help busy women incorporate healthier habits into their everyday cooking so that they can achieve optimal physical and emotional wellness. Her philosophy is enlightened and practical. 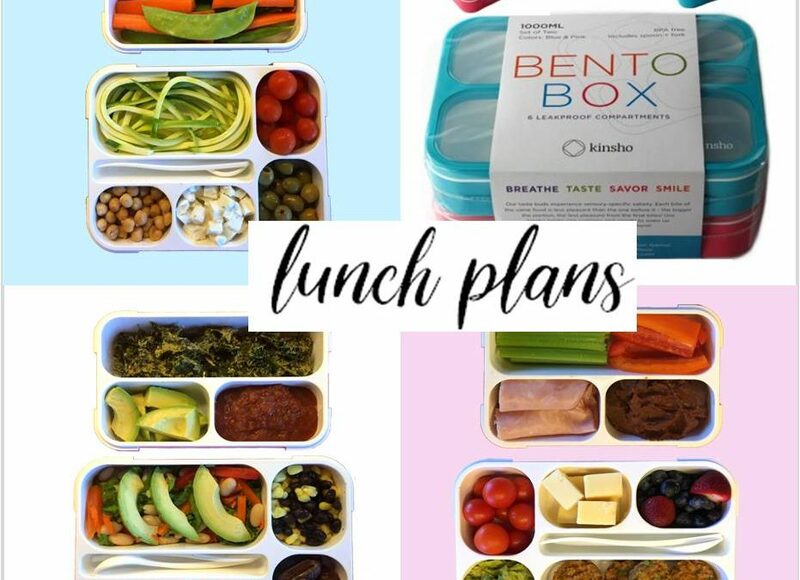 Kristen thought carefully about the balance of color, nutrients, and energy density when designing these box lunch and snack ideas. 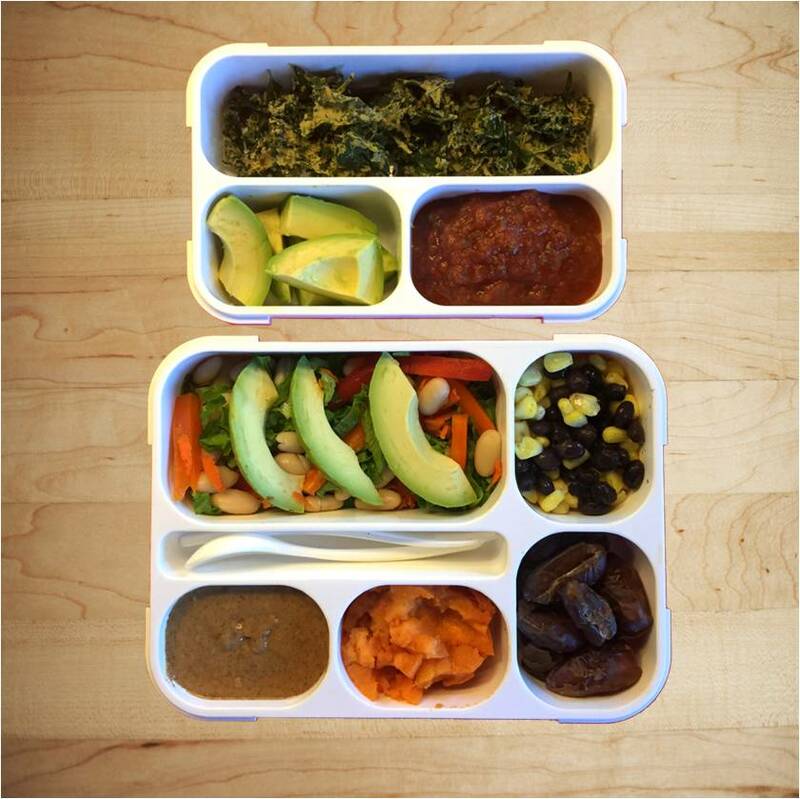 “The multiple sections in these boxes really support eating a variety of healthful foods. 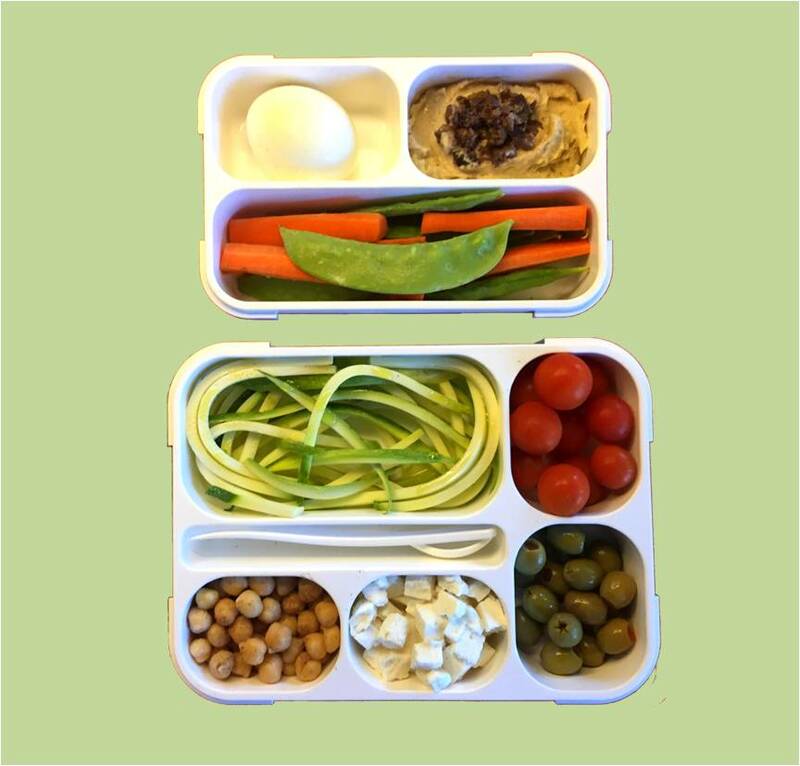 They help you to be more mindful when building a balanced meal because you can use the sections to hold each food group that you need–use one for protein, a couple for fiber (in the form of veggies, legumes, grains, etc), and another for fat to create a satisfying meal. 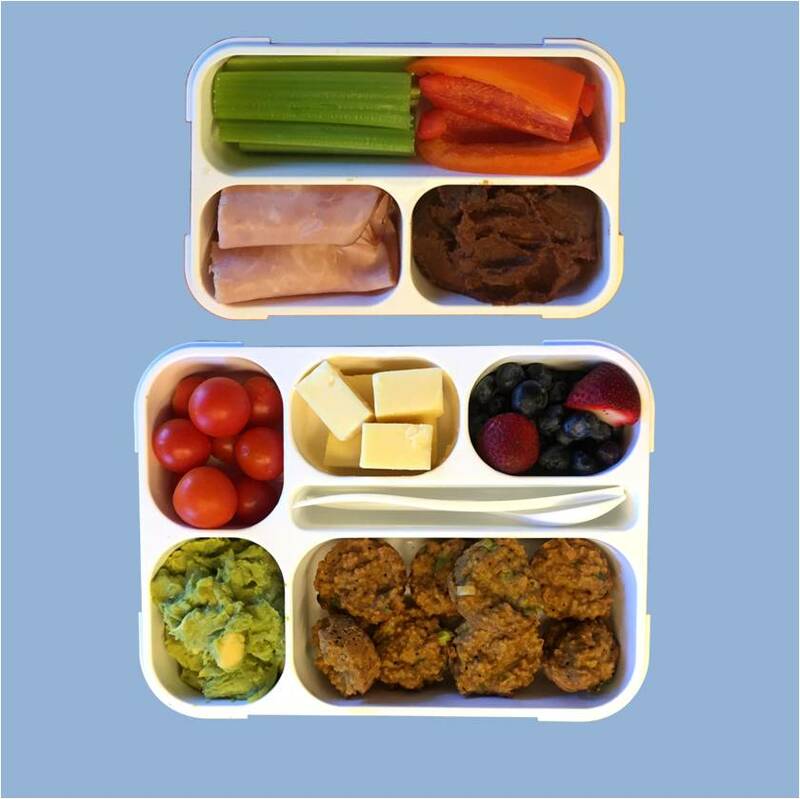 The portion sizes of these containers can work for both kids and adults, especially when filled with nutrient dense foods. Enjoy and let us know what you think of them on Instagram or Facebook @kinshokitchen! Heat oil in a pan over medium and saute onions until softened, about 5 minutes. Add garlic and cook for 1 minute more, stirring frequently. Place in a bowl with remaining ingredients and stir until combined. Spoon mixture into a mini muffin tin, then bake 15-20 minutes. Let cool completely before removing. Thank you Kristen! Connect with Kristen to learn about her nutritional coaching, meal plans and see more superb recipes at goodwitchkitchen.net.